Eight steps to buying a Toyota MR2 MkI. A consummate sports car offering incredible value – but only if you avoid costly pitfalls. Words Richard Dredge. Photography Si Gray. 1 The MkIa is worth a bit less than the later MkIb (unless mint) because parts availability is poor. You’ll pay around £500-£600 for something ropey, usable cars fetch £1500-£2000 and really good cars are £3500-£4000. 2 MkIbs are more sought after. Projects fetch the same £500- £600, but usable cars are £2000-£2500. 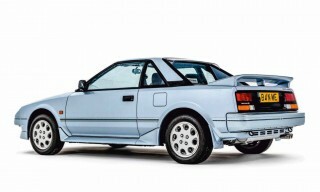 The best of these later first-gen MR2s command £4k-£5k. 3 Supercharged or G-Ltd imports are scarce. Projects fetch £2k, usable cars £5k+ while the best ones are worth £8k. 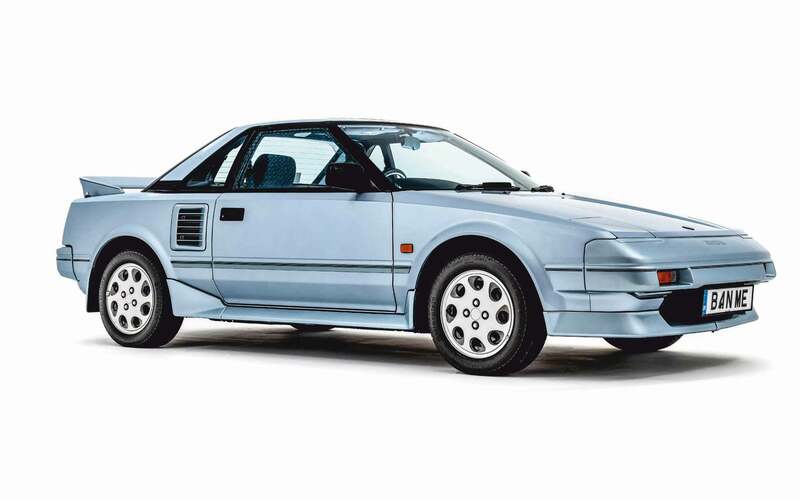 The first-generation Toyota MR2’s impressive packaging, build quality, equipment levels, handling, braking, performance, economy and practicality make it an attractive proposition as an affordable classic. But while having sufficient funds might not be a barrier to securing one of these brilliantly fun mid-engined two-seaters, sourcing a decent example may well be. There’s no sign of values increasing any time soon, but with most of these cars in long-term ownership, few really good examples are for sale at any one time. As a result, if you have an MR2-sized hole in your life your best bet is to start looking now and bide your time until the right car comes along. This guide combines the model expertise of Tony ‘Jinxy’ Froude (tandnmr2mk1carparts.com), Paul Sims (mr2mk1toyotaspares.com) and Nik Milford (mr2dc.com). 1 The MkIa launched with a twin-cam 1587cc four-cylinder engine that’ll rev to 7600rpm. All UK cars had a removable ‘moon roof’ which can be stowed in the nose; a few early cars had two-tone paint. 2 MkIb introduced in October 1985 with interior facelift and a two-piece front splitter to counter high-speed lift. Optional T-bar roof with twin removable glass panels. More than 14,000 MkIs were sold in the UK, although many more have been imported from Japan since then. The MkIb was superseded by the MkII in April 1990. 3 Imports are generally isolated to just the Supercharged or G-Ltd versions built for the Japanese and American markets; these were never officially sold in the UK. General things to watch for on imports are the conversion from kph to mph on the speedo, the quality of the underseal and the proper removal of speed restriction devices and warning alarms. Most MkIs have had body repairs, although full restorations are rare. Low values and poor panel availability mean most are patched-up instead. Corrosion is most likely to be found in the rear wheelarches before spreading to the quarter valances – missing rear mudflaps are the giveaway. The seam that runs across the bulkhead behind the spare wheel in the front luggage compartment rots on pre-1987 cars, as does the front valance; later MR2s got a plastic valance. Water can collect in the rearmost corners of the luggage bay behind the engine; removing the rubber bungs will let it drain. Replacing the bonded-in windscreen can lead to problems, because fitters often dig out the sealant and take the paint with it. Once the new ’screen is in, the surround rusts out of sight. The base of the A- and B-pillars can corrode. With no panels available, budget £200 per side to fix things. If the car is a T-bar with leaking seals it’ll be even worse, so lift the carpets to check for holed metal. The inner front wheelarch liners – and on later versions the side skirts – can fill up with leaves which leads to rotten A-pillars. If the doors are creaking it’s caused by worn door stay pins, which are easily cured by rotating the pin through 90 degrees. Check that all the bungs are in the various holes on the underside of the chassis, especially under the footwells and seats, because water can enter here through damaged underseal and go undetected beneath the carpets. The inner bulkhead can rot and then leak. If the corrosion is on the passenger side it can be repaired by removing the glovebox and lower dash panel, but on the driver’s side the whole dash has to be removed, which is why repairs costs at least £300. The front bumper reinforcement bar corrodes so squeeze the bumper moulding where the indicators are mounted; listen for the sound of crumbling rusty metal because putting things right will cost £500-£600. Can last 150k miles, or more if looked after. This means cleaning the injectors every 12k miles and changing oil every 6k. The cambelt should’ve been changed within the last five years or 60k; it’s a £250 job. Decent used engines fetch £200-£500. The main engine problems occur from blown cylinder head gaskets because of weak or poor-quality coolant; check the level in the white plastic expansion tank towards the rear of the engine bay. Also check the tank’s cap because they can crack, allowing air into the system. The cooling system has long pipe runs from the back to the front of the car; coolant changes on an non-level surface can lead to air locks that fool the various temperature sensors, causing idling revs to fluctuate between 600rpm and 2000rpm. A high idle after initial warm up suggests a worn idle-up valve – an electrically operated air solenoid on the input air piping that connects an air pipe to bypass the throttle body and permits a small amount of extra air into the engine when cold; replacement used valves cost £40. The oil pressure should read in the top third of the scale with the engine running above 2000rpm. Exhaust manifolds crack between cylinders three and four because they’re furthest away from the engine fan and vent. Listen for whispering towards the front of the engine or the engine bay fan running after a normal test drive; decent used manifolds cost £50. Dampers last around 70k miles; adjustable or non-adjustable units can be bought for the same £100 per corner as the originals. A knocking noise from the front when the car is driven over uneven surfaces suggests worn anti-roll bar drop links or tired steering rack bushes. Both are relatively easy replacements for the home mechanic – OE parts cost £22 per side. On all UK-market MR2s were five-speed manuals that can suffer from worn synchromesh on second gear. At around 100k miles slack develops in the selector mechanism, which initially leads to excessive movement of the gearstick in top gear and develops into jumping out of fifth gear. Caught early the fifth-gear components can be extended, but badly worn components will need replacing; used parts are £80 plus four hours’ labour. Fifth gear can be accessed without removing the ’box, but new parts can cost more than a decent used gearbox, which you can buy for £100-£200. The clutch is controlled hydraulically and if it seems to be juddering when you’re changing gear, you’ll have to bleed the system before fitting a new clutch plate. Budget £300 for a new clutch to be sourced and fitted. Are discs all round. Front discs were initially under-sized but from October 1985 larger units were fitted which are less likely to warp, although 30k miles is the most you can expect. Juddering under braking means new discs are needed at £50-£100 per pair. The rear calipers can seize because of worn handbrake cables and/or worn seals, but they’re an easy DIY rebuild and an official repair kit is under £80. Alternatively, exchange-rebuilt units cost around £100 each, while handbrake cables are £60 a set. All MR2 calipers suffer from dry sliding links which need lubricating every six months, while seized handbrake cables also fail, but these are easy to change. T-bar MR2s can suffer from compressed sealing rubbers, which leads to water leaks in the cabin. New seals cost £260 per set, but can be tricky to fit. Retaining clips and screws should be replaced at the same time to prevent leaks, but most owners just patch up their seals. Late T-Bar cars came with perforated leather upholstery which cracks if neglected. Older cars may suffer from lazy seatbelt return mechanisms and cracked internal door-pull surrounds. The gear gaiter can be worn down by the linkage, and the ashtray on post-1986 cars has a lid that’s prone to snapping off – but all of these are cheaply fixed with decent used parts. The nylon cogs for the electric windows can strip. Replacements are £25, although a whole regulator mechanism – £70 used – might be required if the main cog has stripped. Electric window motors can fail with new ones unavailable, but used ones are just £30. The driver’s side window switch is prone to failure which may leave you stuck with the window down; used ones cost £10. Pop-up headlight motors are reliable. The engine ECU can pack up and new ones are hard to source, but used replacements are £50. The alternator can overheat, cutting life expectancy, so make sure it’s charging properly. An exchange-rebuilt unit costs £100. Poorly repaired accident damage is common, so scrutinise the panel fit and shut lines, especially around the front of the car. Panels are scarce and very costly when they do crop up. An auto ’box was available, but only on grey-import JDM cars with the supercharged and 1.5-litre engines. On initial start up the engine will idle at 2000rpm until the auto choke shuts off. It should then settle at around 1000rpm. The most common and costly mechanical problems happen between 100k and 120k miles. A 90k-mile car could cost you more than one with 130k that’s had all the major work done. Few are as enthusiastic about MR2 ownership as Nik. A leading light of the MR2 Drivers’ Club, she has owned her 1989 example for 21 years and taken it to 258,000 miles – on the original engine and gearbox and with just one replacement clutch. Says Nik, ’Until recently the Toyota was my everyday car but that’s now an Elise S1 that I’ve owned for 16 years. Whereas the Lotus scores very highly in one or two areas but very low in most others, the Toyota scores very highly just about everywhere. The biggest problem is staying on top of rust; my car has needed new sills and wheelarches more than once. Bryan’s 1985 MR2 is one of the oldest in the UK and he’s owned it since 1997. ‘My son owned it before me and he lent it to me to use on a long trip,’ he says. ‘I loved the whole driving experience, and soon after that he sold the car to me. Since then it’s been on lots of European road trips and it never fails to amaze me; one time in the Eiffel mountains I really thought I’d gone into a bend far too quickly and the car made it round, so great is its roadholding. ‘I’ve also got a modern Jaguar S-type but it can’t match the Toyota for comfort, although the MR2’s refinement could be better. Power steering would be useful too, but practicality is surprisingly good with the MkI having a decent boot. When Jason Hurman saw one of the last MR2 MkIs advertised for sale locally very cheaply, he didn’t expect it to be much good, but when he went to look at it he found a superb car being sold because its owner was giving up driving. Says Jason, ‘I couldn’t say no as it was so keenly priced, and since I acquired it four years ago I’ve continually used up my annual insurance mileage limit of 5000. The car is so usable; it’s driven all year round as often as possible because it’s so much fun. The previous owner had fitted 17-inch wheels which made it hard to drive with its unassisted steering; I’ve since returned the car to standard. It’s now just as it came out of the showroom and it’s in excellent condition despite having 130,000 miles on the clock. Unmolested UK-supplied MkI T-Bar with just 63,000 miles. Receipts on file detail a new timing belt at 53647 miles, new suspension bushes two years later, new stabiliser link rods and a new stereo system. Clearly garaged its entire life and meticulously maintained. Interior beautifully presented, largely original and has clearly never been left to deteriorate. Bodywork excellent with straight panels and no rust.